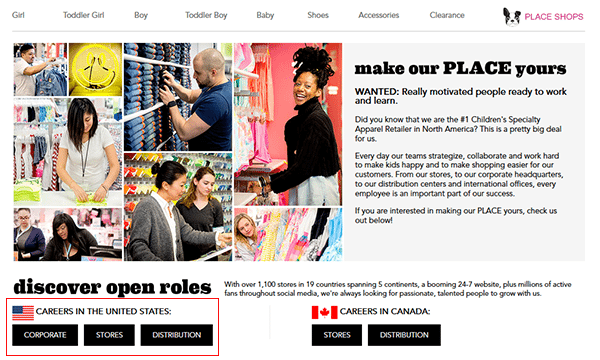 The Children’s Place job application is available on the company’s careers website. Use the instructions posted below to learn how to search for current openings, learn more about careers, and submit an application. Both retail as well as corporate positions can be applied for online. About the Company: The Children’s Place is an American chain of children’s clothing stores headquartered out of Secaucus, New Jersey. The company operates more than 1,000 locations throughout North America (as well as abroad). The Children’s Place was created in 1969 and employs over 2,000 people. 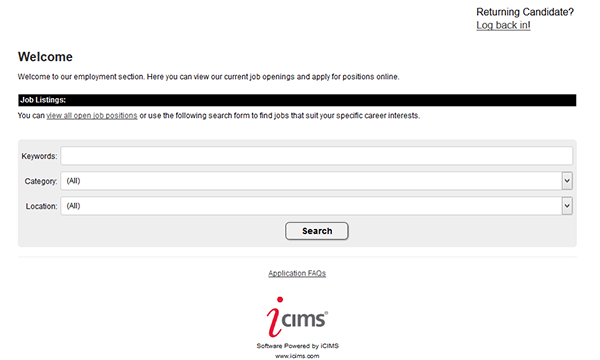 Step 2 – Scroll down the page and select the type of job that you want to search/apply for (i.e. corporate, stores, or distribution). 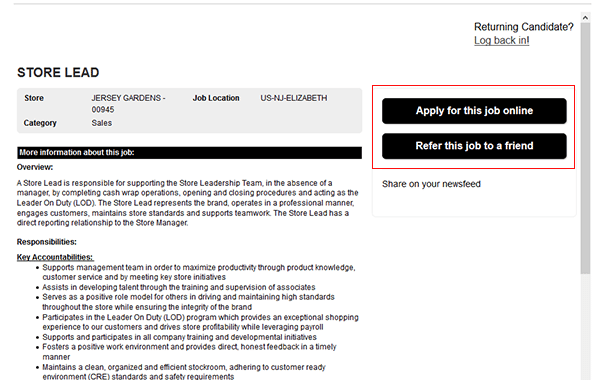 Note: These instructions detail the online application process for in-store positions. Step 3 – Scroll down the page. Enter a keyword into the search input field, or select a category/location from the drop-down lists. Click the “Search” button to view the results. 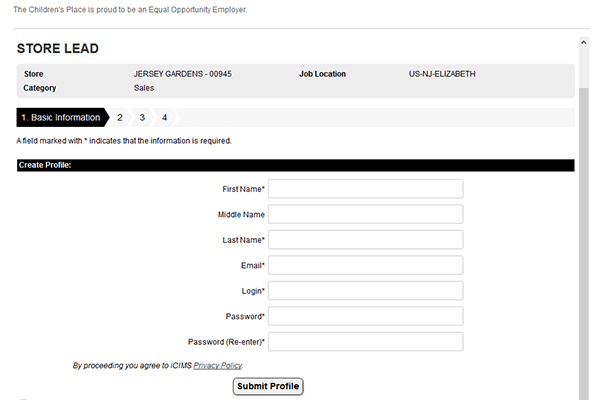 Step 4 – Click the title (link) of the job that you want to apply for. Step 5 – Read the job overview and then click the button as shown in the below screenshot. Step 6 – Select how you want to create your profile. 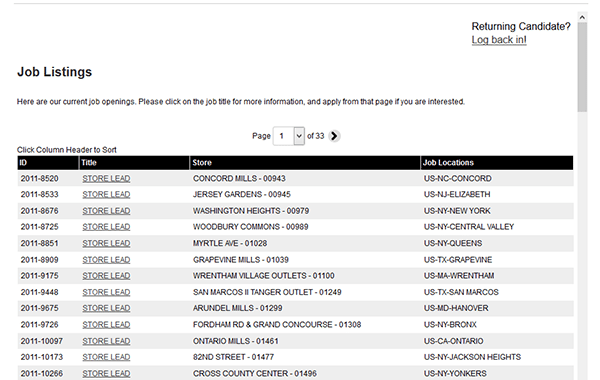 Note: The online hiring process for distribution/corporate positions may differ from in-store positions.